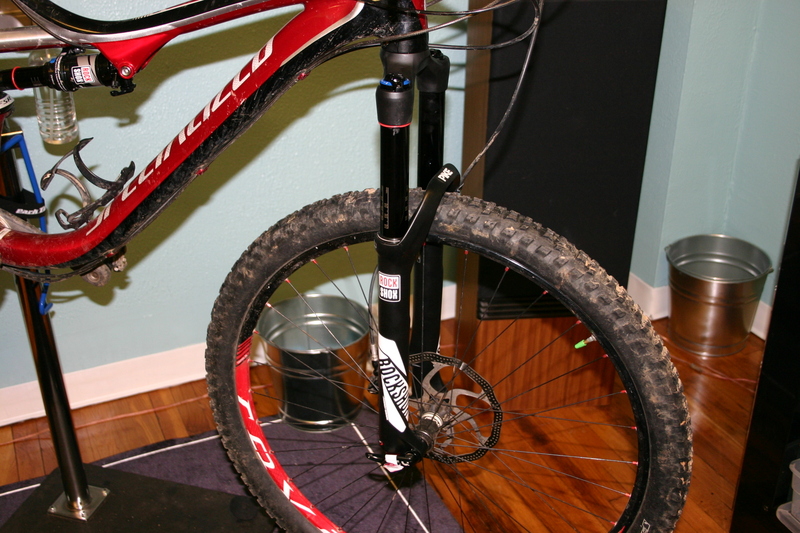 In this installment we will cover replacing the wheelset on the Stumpjumper. A new set of wheels can easily be the best upgrade in terms of overall improvement that you can do to your bike. A top quality set of wheels will be lighter and anytime that you remove rotational mass the improvement in feel is much more pronounced. The increased quality in the hubs usually includes higher quality bearings that will allow the bike to roll further and faster with the same amount of pedal input. Likewise, acceleration should be improved as well. Having increased engagement points (the Industry Nine freehub will engage with only 3 degrees of rotation) in the rear hub will improve pedal response and help when climbing obstacles that require repositioning of the pedals. Bottom line, wheel upgrades can completely change the feel of a bike. Increased agility, control and responsiveness can be expected. The Stumpjumper was originally equipped with a set of standard wheels that included a low engagement point rear hub. These wheels were removed from the bike at the 75 mile mark and replaced with a set of Roval Control 29 wheels. The Roval’s were narrow rim racing wheels that were lightweight, had DT Swiss 350 series hub internals with the Star Ratchet engagement system and came with a tubeless setup already installed. They were a great set of wheels that performed well in all conditions. 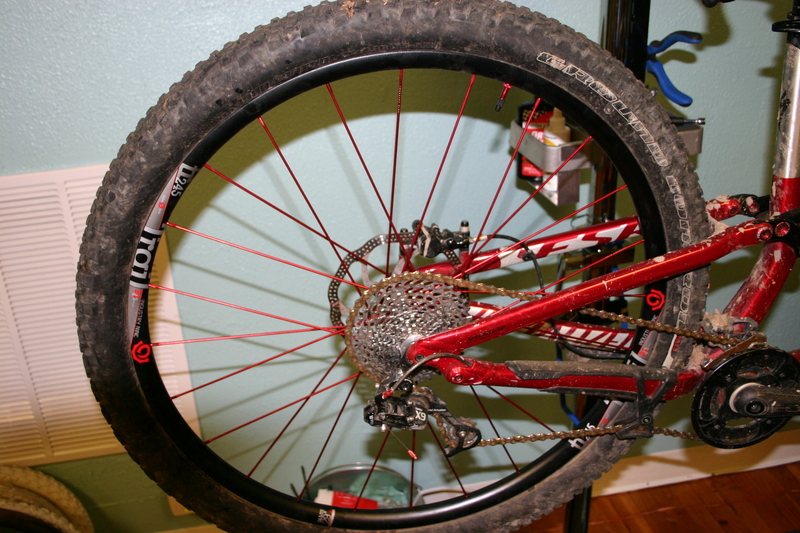 The issue was that they were light weight racing wheels being used for trail riding. The rear wheel went out of true and was not repairable. 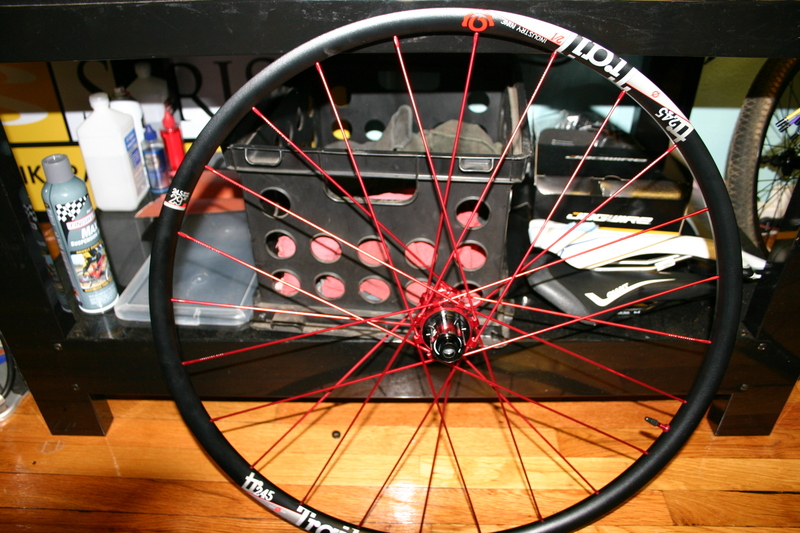 So, enter the new wheels: A set of Industry Nine Torch Trail 24.5s in the 24 spoke version. These wheels are strong, wide, light and have a high engagement point rear hub. 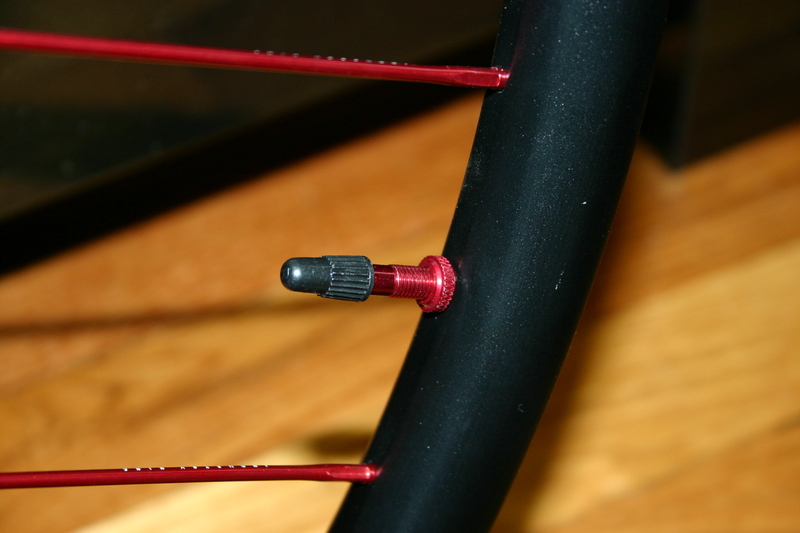 They come with a tubeless kit installed and ready to go. Install was not much more difficult than changing a tire. The only additional steps were swapping the brake rotors and cassette on the rear. Industry Nine is known for their multitude of color choices. They have eleven different colors for the hubs and spokes. You may mix and match as you see fit. 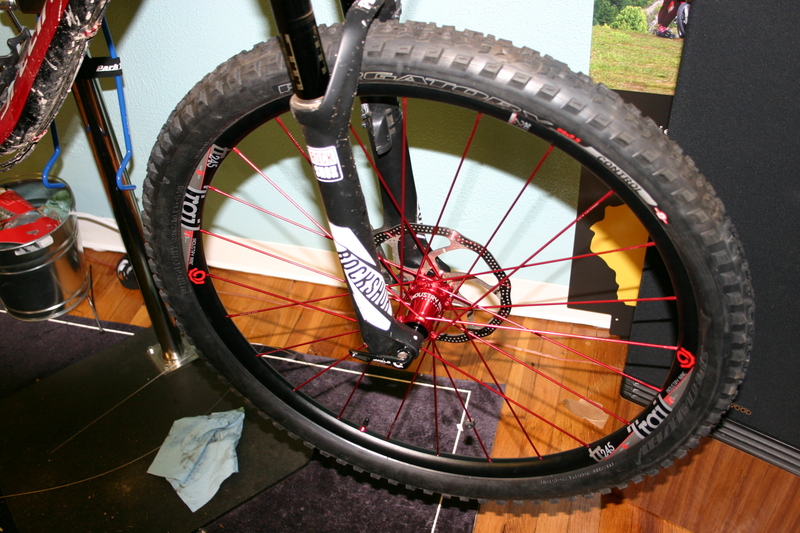 These wheels are a “standard” color scheme of black rims with red spokes and hubs. Quite snazzy looking. These are amazing wheels! The first thing you notice is the sound of the rear hub. Those engagement points make themselves known. These wheels are very stiff. It will take a bit of getting used to the lack of flex. These things just don’t move very much. They roll so easy! Start on a downhill next to someone and you will walk off and leave them without pedaling. These things are tough. On the very first ride a fairly large stick got caught in the spokes of the front wheel and was slammed against the fork. The stick was smashed into several pieces but the wheel received no damage. This would have ripped several spokes out of the Roval wheel that was on previously. These things look great, perform wonderfully and are even lighter than the Rovals that were on here before. Industry Nine has a winner here. If you need wheels, BUY THESE! Cheaper than carbon, more durable and made in the USA. WINNER!